I was in work today at the reception desk when my colleague spotted a Black Pug outside; thanks Rachel! I ran up 4 flights of stairs to get my camera and headed outside. 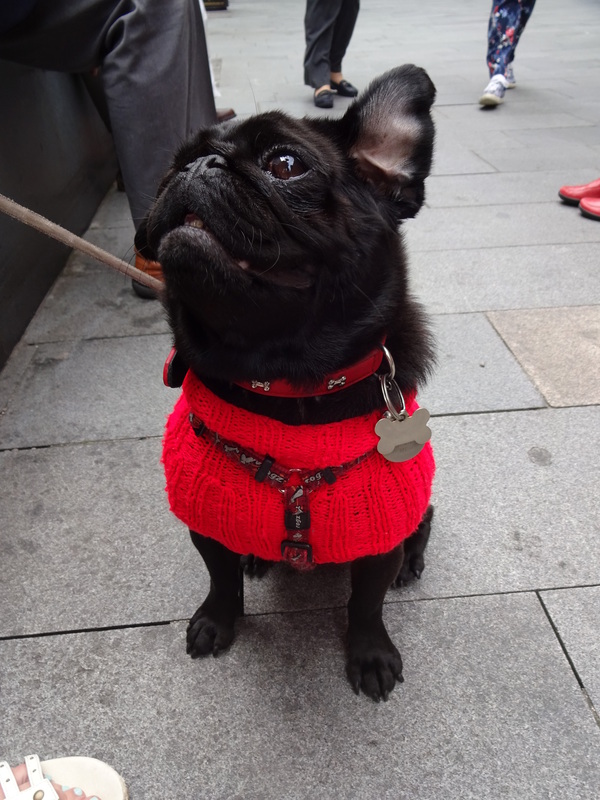 When I got outside Alan the pug had a little crowd round him with lots of people giving him a fuss; who can blame them he’s gorgeous. 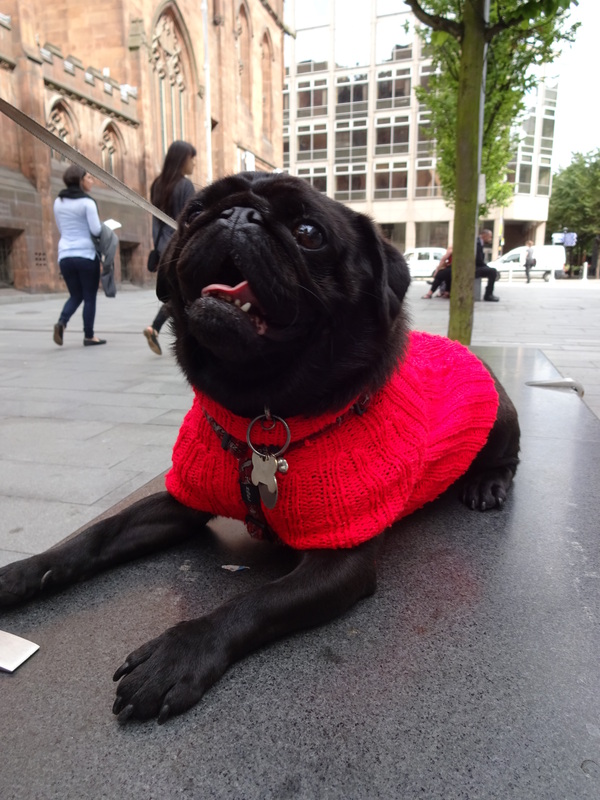 Alan is a really friendly boy and has lots of pizazz, look at that snazzy red jumper! Alan’s human really wanted to have a dog called Alan so when she went to visit the littler of puppies she said to Alan “are you Alan” and he tilted his head as if to say “yes I am”, she knew he was the one! Alan loves his human mummy and doesn’t like to be apart from her, fortunately she works from home. Alan is a clever boy and can do some tricks, he can play dead! My ear is sticking up! Favourite toy: Mr Ham, a toy sandwich with a pigs head! Alan has broken the toy so now he only plays with the head! Favourite pastime: Being with his human mummy!